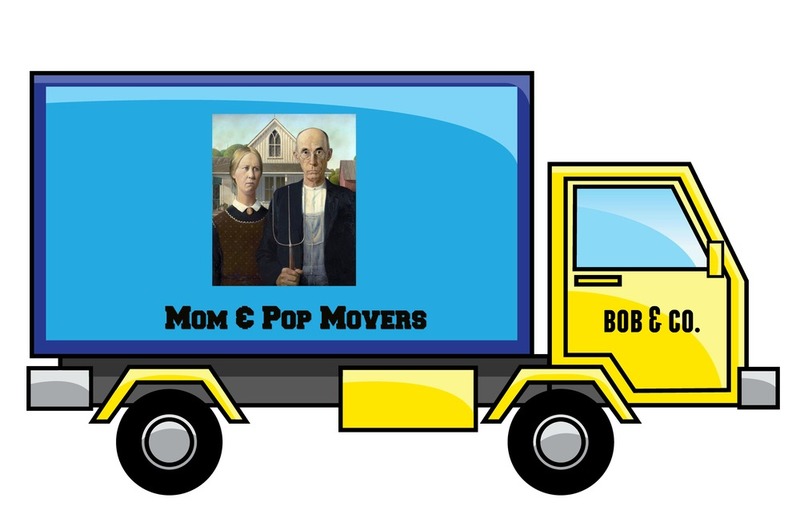 As of last Monday, Mom and Pop Movers has officially gone OUT-OF-BUSINESS. After driving a 15’ U-Haul into the city and back, Bob & Co. is eager to pay for professional movers in the future. When you include parking tickets, overpriced sandwiches ($100 for four sandwiches large enough to feed a small country), the bottle of wine needed to recover from the traffic and the lunch bill, plus the massages we both needed afterward, it probably would've been cheaper to hire movers– certainly saner. We could've used a little divine intervention like a Holy Spirit nudge warning, "Don't do it," or perhaps a miraculous parting of the sea of traffic in and out of New York. We spent more time getting there and back than unloading. Scripture says, “If you have faith as small as a mustard seed, you can say to this mountain, ‘move from here to there,’ and it will move.” Sadly, it didn’t work on my daughter’s mountain of belongings or with the traffic hurdles. We had a little snafu in the morning that could have set the tone for the day, but as I said to my daughter, “We’ve got a long day ahead; we can choose to start over and enjoy the day or not. Might as well make the best of it.” And we did. Another divine intervention because recalibrating isn’t always easy when tensions are high and hurt feelings are involved. Still, there are just some things not worth carrying longer than necessary. Best to quickly turn them over to God. This experience is an excellent illustration that God doesn't always work in grandiose, spectacular ways. More often He shows up in a gentle peace that transcends human understanding. That style may not be as showy as He was with Moses, but it's just as powerful. Ask anyone who has driven in NY traffic. Following the big move, I left for a Christian Writer’s Seminar and am happy to say the heaviest thing I had to carry around was my coffee cup. It was an excellent remedy for the ‘running-on-empty’ pace of the past couple of months. It was the divine recalibration I sorely needed – a reminder to let Christ do the heavy lifting in my life. Mom and Pop Movers may have retired, but I don't think any of us age out of hauling around excess baggage, burdening us with its weight. Aren’t we, as Christians, blessed to have someone who will never retire from taking our mountains of ‘stuff’ and transforming them into something useful, freeing us to live unencumbered and enriched by the experience – peaceful amidst chaos? Why not choose to enlist your own Personal Mover? It may not involve a relocation, but moving forward emotionally and spiritually is even more daunting. Not only is Jesus always available, He alone can carry the weight of our mountains - free of charge. That’s the amazing thing about grace.